I suppose I should dislike this book if I’m to remain consistent with prior statements, but … I do like this book – very much. The problem is that it’s post-modern play on a very serious event in history. The resolution, to me, is that narrator /author frequently shows his struggles with bringing an historical event “to life” with as little fictionalization as possible. Yes, of course this is a work of fiction even if every word in it is, somehow, the (lower case) truth. It’s fiction because the author and publisher say it is. Period. What this means is that we are free to dissect the novel for inaccuracies, but they don’t count against the work. This is Binet’s story – not a non-fiction account of the assassination of Rudolph Heydrich. If this were non-fiction we would be free to pull out the errors, omissions and faulty logic and criticize the book for them. Also, as a history book it would need source material. 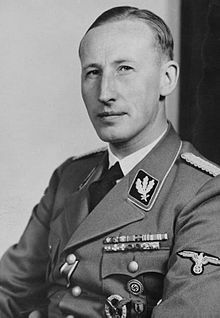 But the book is fiction – the title, HHhH, is an acronym for Himmlers Hirn heisst Heydrich (“Himmler‘s brain is called Heydrich”), a quip about Heydrich said to have circulated in Nazi Germany. That said, the French author, Laurent Binet, in his debut novel, brings to the fore all manner of issues faced by both writers of history and some of those who write historical fiction. He does this using the post-modernist techniques and devices of metafiction, self-referencing, irony, intertextuality, some pastiche, poioumenon (story creation), “historiographic metafiction,” some temporal distortion, a bit of hyper-reality, some paranoia, perhaps even a bit of magical realism (at the very end). I’m amazed. I was familiar with the assassination prior to reading the book, but just barely. I started out looking everything up and then realized the material was almost entirely factual and verifiable. (Binet just doesn’t give sources.) So I quit researching (except in those cases which really interested me for the most part, and tried to go with the flow. Binet’s narrator wants to make history “come alive” for the reader but still stick to historical details and get them all correct and in order. Well, that’s interesting but most fiction writers are forever wrestling with how to make something “real” and compelling, while non-ficiton authors tend to focus on getting the verifiable facts straight, documenting the evidence, making some suggestions as to an as yet unresolved issue or two, and supporting all that with evidence – some actually enjoy writing an engaging narrative, as well. A novelist will sacrifice some “accuracy” for “a good story, well told.” HHhH is just exactly that, “a great story, well told.” Still, I’d not allow anyone to use it as a history text. In 1942 the Holocaust was just getting under way in terms of a “Final Solution.” Rudolph Heydich was instrumental in devising the plan. “So, Gabčík existed, and it was to this name that he answered (although not always). His story is as true as it is extraordinary.” (Kindle Locations 147-148). At the center of Europe was Czechoslovakia, not only a military obstacle to Nazi expansion, but a political obstacle as well. 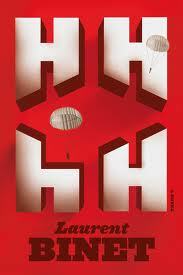 Czechoslovakia was not a natural state but a manufactured state, consisting of many minorities. At the time, Czechoslovakia was politically and economically the most advanced of the successor states. It was democratic and had a standard of living comparable to Switzerland’s. It maintained a large army, much of whose excellent equipment was of domestic Czech design and manufacture. Czechoslovakia had military alliances with France and the Soviet Union. Therefore, it was no easy matter to abandon Czechoslovakia. 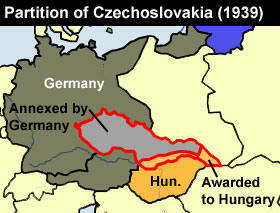 In terms of “self-determination,” it was equally difficult to defend Czechoslovakia. From the start, Britain opted for appeasement. Britain’s sole security frontier was at the boarders of France. France was told by Britain, that if their security concerns extended any further, specifically, if it tried to defend Czechoslovakia, it would be on its own. The year of 1938 in Europe would be full of stress, tension and constant negotiation. I’ve heard so much about this book Bekah … enjoyed your review a lot. I can’t imagine anyone using fiction as a history text, though I can imaging fiction being used as adjunct reading in a history class. It’s all in the teaching I reckon. You bet to use fiction in a history course – and no, not as the main text, but as supplementary material. In a uni course on the history of England we got to read Dombey and Son by Charles Dickens for insight into the Industrial Revolution. It was written during the times about which it was written – incredible stuff there (so I guess it was a classic rather than historical fiction so it was even more appropriate in the class). Becky, I love your review, especially the way you’ve unpacked the PoMo elements. It’s just such an *interesting* book in every way, I wonder what he will write next! Thanks, Lisa – it was a fun book! Great post, on a book I’ve yet to read, but will have to at some point soon, as it has my interest partly as it’s a IFFP longlisted book & partly due to the reaction it appears to have caused amongst those that have read it. Thank you, Parrish! I love the translated works (always wishing I could read the original language but … ) Of the upcoming IFFP list I’m looking forward to The Last of the Vostyachs by Diego Marani – I so totally enjoyed his New Finnish Grammar! I might also pick up the Pamuk and the Kadare books. They’re all on my wish list. Loved Vostyachs, the professor is a wonderful character & if you enjoyed NFG, you’ll love it; the same obsessions just funnier. I’ll second what Gary says, I’ve just finished it and I loved it. Okay already – heh – my “one-click order has been placed.” Should be here 4/2 but it might be few days (I hope not weeks) before I get to it.